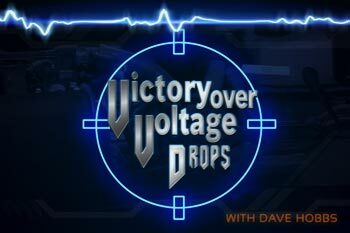 Victory Over Voltage Drops is your training solution to diagnosing one of the most common intermittent electrical problems within any vehicle’s electrical system. Whether it’s Powertrain, Chassis or Body systems related – or whether the problem resides in a power, ground or signal circuit – excessive voltage drops can be frustrating to track down. Veteran AVI instructor Dave Hobbs shares his decades of electrical troubleshooting experience that will help you have victory over those phantom electrical problems many times caused by voltage drops. Did you know that a drop of .5 of volts on one type of circuit may mean nothing while on another type of circuit it means everything? To explain the secrets of good voltage drops vs. bad ones, Dave takes the hands-on route with a multi meter on both simulators and vehicles in the service bay as he demonstrates how you can perform simple, easy-to-follow real world tests that drive you to the right diagnosis and that problem car right out the door!